The medieval monastic complex of Goshavank is located 15 km away from the resort town of Dilijan. Built in the XII-XIII centuries, the monastery was once the most important spiritual and cultural center of Armenia. 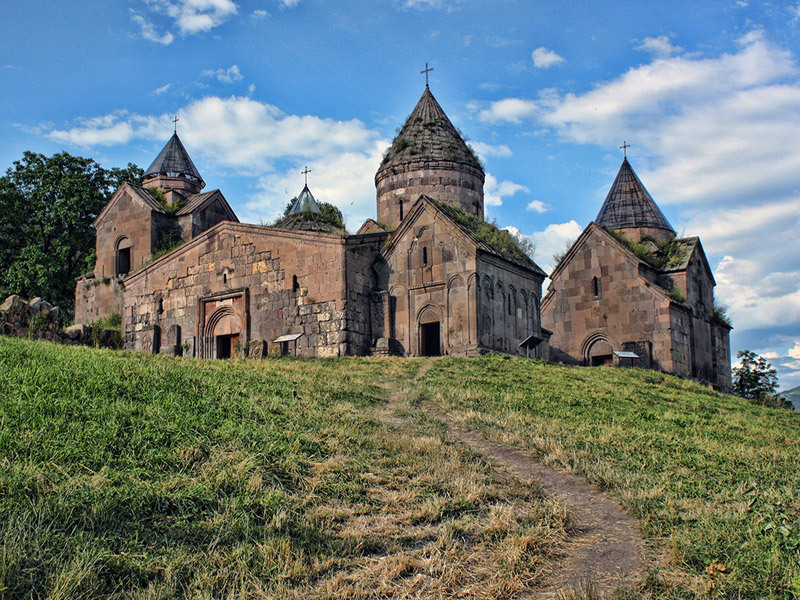 The monastery of Goshavank is located in one of the most picturesque and heavenly places in Armenia, near the village of Gosh in the Tavush region. 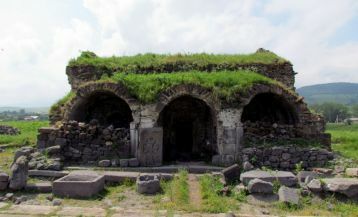 Goshavank was named in honor of the great Armenian scientist, politician, fabulist and cleric Mkhitar Gosh, who in 1188, with the support of Prince Ivane Zakaryan, founded the monastery. At the monastery, there was a school and a seminary, where the monks enlightened the people, created and preserved a lot of manuscripts. Today after countless earthquakes and enemy attacks almost all main constructions in the monastery complex have survived: there are 2 churches, 2 chapels, a church porch, a two-story library and a belfry tower, unique khachkars (cross-stones) and the foundation remains of the monastic buildings. The first and central church of the monastery – the Cathedral of the Holy Mother of God, was built in 1191-1196. The Church of the Holy Mother of God is a magnificent architectural example of a dome cathedral in the classical medieval Armenian style. The cathedral seems to dominate the surrounding buildings with its greatness. To the left of the cathedral is another small stone church of St. Grigorius the Illuminator (Lusavorich). From the outside, the temple is quite modest and elegant, but the interior is so luxurious that the church was nicknamed “zarmanakert”, which translated from Armenian means “striking, amazing”. 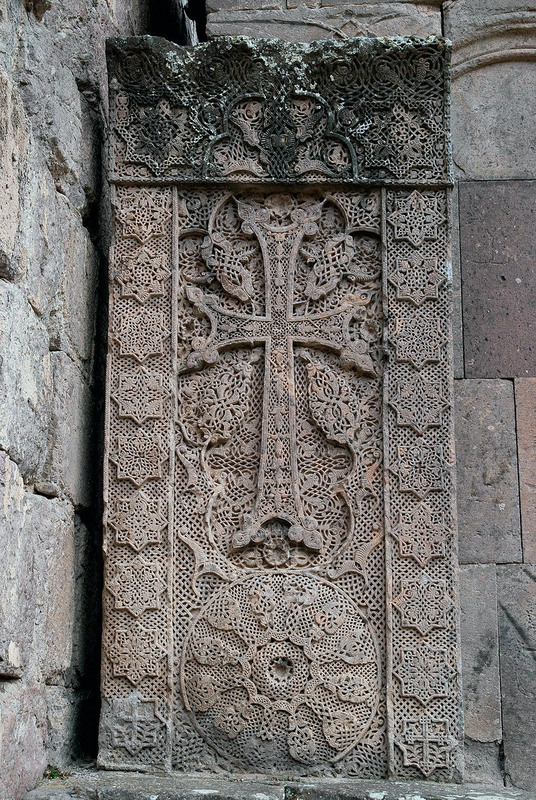 Special attention should be paid to khachkars, which once adorned the entrance to the church. These are rare and valuable cultural monuments, made with a special technique known as “stone embroidery” or “lace carving”. 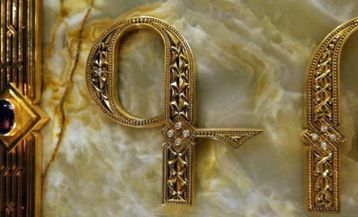 The creator of the khachkars is the famous sculptor Pogos. Today one of the khachkars is preserved in the National Historical Museum of Armenia. The second khachkar is at the tomb of Mkhitar Gosh. It is known that in the Middle Ages the monasteries were the centers of enlightenment, science, and culture. 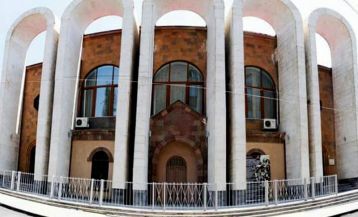 Goshavank Academy was not an exception: prominent figures and scientists of the Middle Ages enlightened the Armenian people, lived and worked there. At seminary, the monks taught writing and drawing of miniatures, studied philosophy, Greek, and Latin.